This Flanged Weld Nut features a 360° ring projection that is designed to provide a strong hermetic seal as well as an exceptionally strong weld. This blind-hole tapped weld nut is an excellent choice for welding to thin sheet materials, and its extended thread length ensures a strong attachment to a mated component. These industrial fasteners are available from JHP Fasteners in a variety of materials, dimensions and thread sizes (inch and metric). Note: A variety of dimensional characteristics also available. The 360° ring projection provides a strong hermetic seal which eliminates the cumbersome process of gasket attachment and bonding. Extended thread length ensures a strong and reliable attachment to mated components. This Flanged Weld Nut facilitates a robust weld to thin sheet materials. For applications that require a robust weld on thin sheet materials, this particular flanged weld nut is an excellent choice. It is also an ideal choice if you would like to avoid the use of gaskets and sealants in your assembly process. 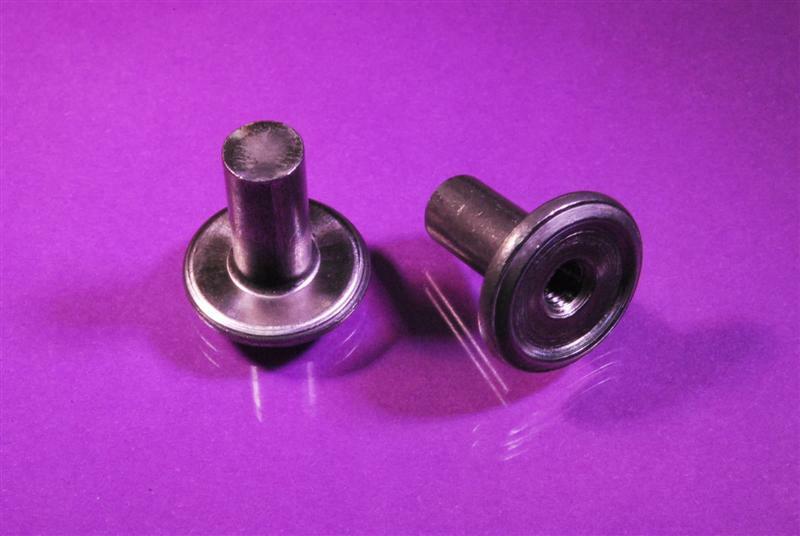 JHP Fasteners offers expert consultation on the use of these types of industrial fasteners. If you have technical questions, we have the expertise necessary to provide you with the appropriate answers. We will provide you with the level of consultation necessary to ensure that you select the industrial fastener that is best suited for your specific requirement. Contact us for any industrial fastener requirement you may have. We will work hard to win, and retain, your business!